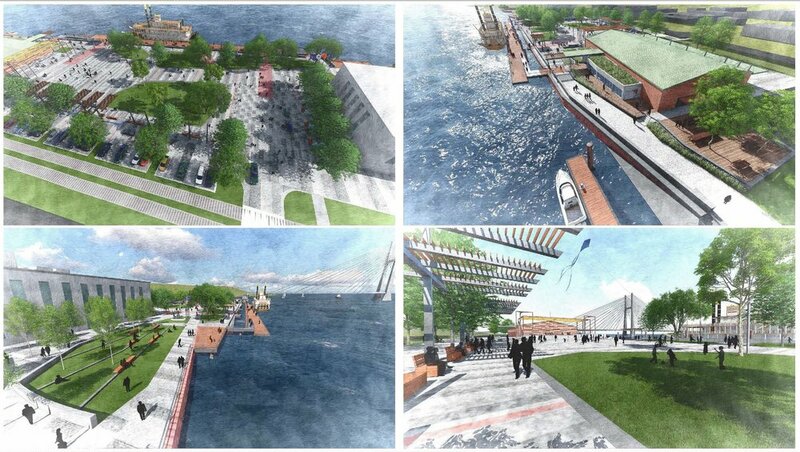 V&K News — Veenstra & Kimm, Inc.
V&K recently submitted a proposal for the Main Street, Jefferson Street and Riverfront Improvements project for the City of Burlington. Led by the Quad Cities office, the proposed team consisted of V&K, SmithGroup, Bruner, Cooper & Zuck, Inc. Terracon, Environmental Planning Strategies and Tallgrass Archaeology. V&K has worked previously with SmithGroup, who provides urban planning/rendering and design services, for the City of Burlington’s Flood Mitigation project. The $17M project includes riverfront amenities (ramp, docks, parking, shade structures), complete streets (9 blocks on Main Street and 8 blocks on Jefferson Street), and combines flood protection, sewer separation, dockage and integrated planning into one effort. The V&K team was selected without interview as we clearly stood out among competitors for the Engineering Services related to the TIGER (Transportation Investment Generation Economic Recovery) grant, a significant aspect of the project’s funding. A special thank you to Jason McKenzie (Rock Island) and Eric Lee (Rock Island) for their work completing the grant application for the project!